You may wonder why shawls begin with this odd little bit of knitting. It’s fussy, it’s tricky, it’s annoying. It appears to makes no sense. Yes. All these things are true. But the Garter Tab Cast-On is an important element to a well made shawl, even if you aren’t a stickler for doing things properly. Why do it? This Cast-On creates a beautiful seamless edge to your garter stitch border and eliminates the need for seaming at the base of your shawl. It will transform your knitting from looking “homemade” to “handmade,” and once you get the hang of it, you’ll want to incorporate it into all of your shawls. 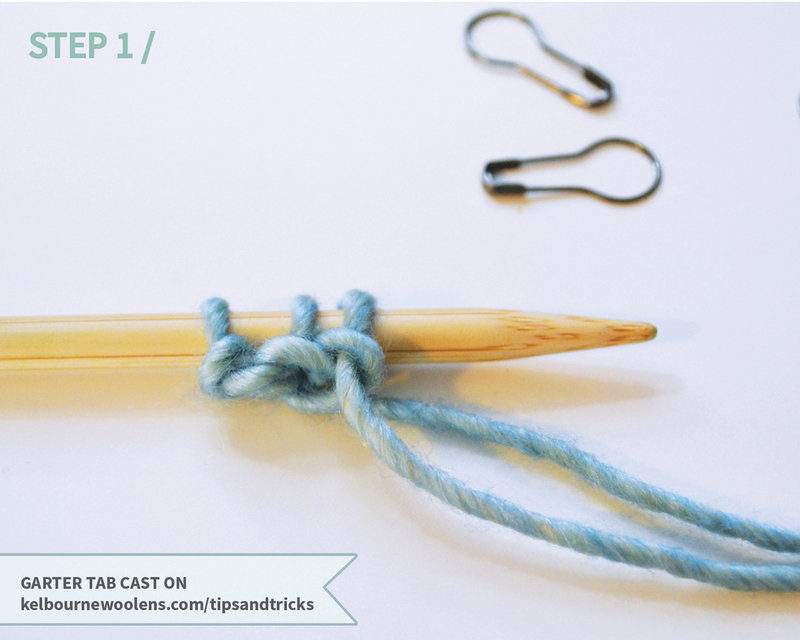 STEP 1 / Using either DPNs or your shawl needles, CO 3 sts using the long-tail cast on. You may want to place a removable stitch marker in each CO loop to show where you'll be picking up stitches in the final step. Many Garter Tab directions have you work this step as a provisional cast-on, but we have found that since this little tab is so small, you don't actually see the cast-on edge, and it is much simpler to work a long-tail cast on, rather than go through the fuss of provisionally casting on the 3 stitches. STEP 2 / Rows 1-6: K all sts. This step is easy-peasy - just knit 6 rows. Once complete, you will have a long, thin piece of garter stitch - a "tab", if you will. STEP 3 / Row 7: K3, p/u and k 1 st in each of 3 purl ridges along garter edge, p/u and k 3 sts in CO - 9 sts. This is where things get a little funky. For Row 7, you're actually working around the edge of the tab, converting it from a vertical piece of knitting, to the horizontal base of your shawl. 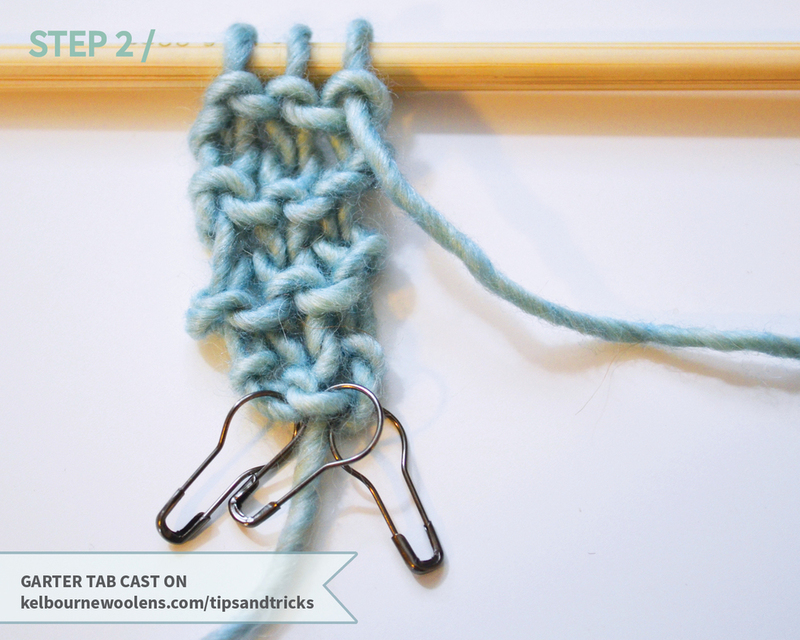 First, you will knit 3 as if you're knitting a normal row. 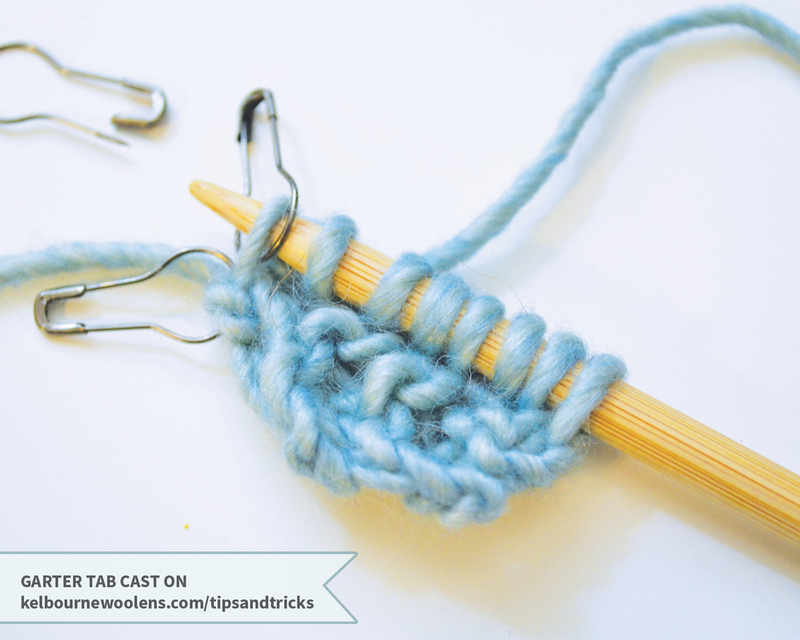 Then, rotate the piece 90 degrees, and put your needle into first purl bump at the edge of the tab, wrap your yarn around the needle, and pull through to create a knit stitch. Repeat this step for the other 2 bumps so you have 6 stitches on your needle. Next, turn the work again and pick up an knit 1 stitch in each of your original 3 cast on stitches, removing the markers (if you placed them) as you go. Once complete, you will have 9 stitches on your needle, and your garter tab cast on is complete!